Beverly Jean Hudson, age 91 of Ferrysburg passed away peacefully at home into the loving arms of her heavenly father on June 11, 2018. Beverly was born September 7, 1926, to James and Ann (VanStrate) Vanhall in Grand Haven. She was a lifelong resident of the Tri-Cities area. In her early teen years, she worked fearlessly and courageously at her father’s side in the family commercial fishing business at their home. 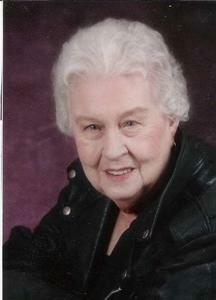 She was a graduate of Grand Haven High School, Class of 1944. Beverly married Donald G. Hudson on August 31, 1946, in Grand Haven, and he preceded her in passing on May 2, 2014, following 67 years of marriage together. Beverly was a local hero who gave the gift of life to others as a generous blood donor of 112 units in support to the American Red Cross. Her other interests were traveling, camping with family, walking, avid reader, taking family photographs, and most of all she loved spending time with family and friends. A loving wife, devoted mother and a proud grandmother, Beverly will be remembered for her warm smile with a long contagious laugh and upbeat, positive personality. She will be lovingly remembered by her six children: Karen (James) Huggins, Robert (Carol) Hudson, Alan Hudson, Jodie (Richard) Muskovin, Jeri “Alexa” (Thomas) Reinhart and David (Nichole) Hudson. She had 14 grandchildren; 21 great-grandchildren; two sisters-in-law, Betty (Jerry) Verberkmoes and Emily Brown; two brothers-in-law, Jack Hudson and Edward (Pat) Slack; and Betty Slack; and cousins and friends. She was preceded in death by her husband, Donald Hudson; her parents; sister, Gwen (William) Snyder; and nephew, Mark Snyder. In accordance with Beverly’s wishes, cremation has taken place and a private family service will be held at a later date. Inurnment will be at Lake Forest Cemetery next to her husband. We will remember both in the colors of a sunset.